Talk about Big Data for the European Carton Makers Association. 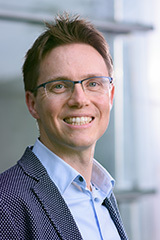 The EDA group at LIACS, headed by dr. Matthijs van Leeuwen, develops algorithms and theory that enable domain experts to explain data by finding interpretable patterns and models. Our main focus is on exploratory data analysis, often in the form of discovering novel and unexpected patterns that may give useful insights. Even when predictive modelling is the final goal, it is essential to first get a solid grasp on the data. Regardless of the analysis task, we aim for algorithms that are accurate, provide interpretable results, and can be guided by the analyst (to exploit prior knowledge). Our research builds on the state of the art in information theoretic data mining (e.g., using the minimum description length (MDL) and maximum entropy principles), statistical pattern mining, and interactive data exploration and analytics. More broadly speaking, our research can be situated in the fields of data mining, machine learning, data science, and artificial intelligence (AI). We mostly work on multidisciplinary data science projects, as we strongly believe that this leads to interesting, fundamental data mining problems for which the solutions we propose have the potential to positively impact society. Sarang Kapoor is visiting Leiden for two weeks. Welcome! Marlo Brochard has joined the EDA group as BSc student working on his thesis research project. Welcome! Matthijs van Leeuwen was awarded an NWO TOP grant (module 2) for his research project titled Human-Guided Data Science by Interactive Model Selection. Daniela Gawehns and Marieke Vinkenoog have joined the EDA group as PhD students. Welcome! Sepinoud Azimi is visiting the EDA group for one and a half month. Welcome! Lincen, Ruben, Stephan, and Valérie have all successfully defended thesis. Congratulations to all! © 2019 EDA, LIACS, Leiden University. Contact us.